Livestream is looking to take the pain out of setting up live streaming with the announcement today of its new Livestream Broadcaster device. 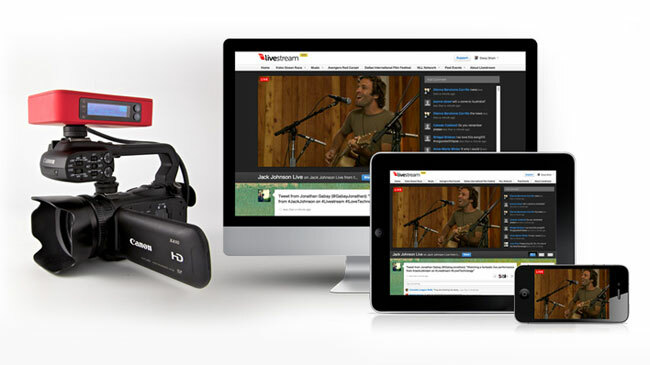 The Livestream Broadcaster has been designed to provide event owners and producers with a desktop encoder that can be connected to a multi-camera video production switcher. Or can be used as a portable battery powered wireless encoder mounted to a camera, and stream via Wi-Fi or a USB 3G/4G Wireless Modem. The new Livestream Broadcaster can be controlled on the device itself or remotely from anywhere in the world via the Livestream website, or via the Livestream for Producers iPhone app. The HDMI video input provides support of HD 1080i, 720p, and SD 480i formats. For more information on the new Livestream Broadcaster system jump over to the Livestream details for a demonstration and specifications. The Livestream Broadcaster is now available to pre-order for $495.